The Google Pixel 4 and Pixel 4XL codenames have been spotted on the Android Open Source Project website. The Mountain View company continues the trend of code-naming its devices after marine life. The AOSP commit reveals 8 devices, out of which two are Panasonic devices (Hawk and Owl), while the rest are Google phones. Marlin refers the OG Pixel XL, Wahoo is for the Pixel 2 and Pixel 2XL. Crosshatch 3 is the Pixel 3XL and Bonito is for the upcoming Pixel 3A XL. This leaves Needlefish and Coral as the unknown codenames. According to 9to5Google, the Google app code reveals the Google Pixel 4 and Pixel 4XL codenames directly. The Pixel 4 codename is Coral, while the Pixel 4 XL is Flame (for flame angelfish). 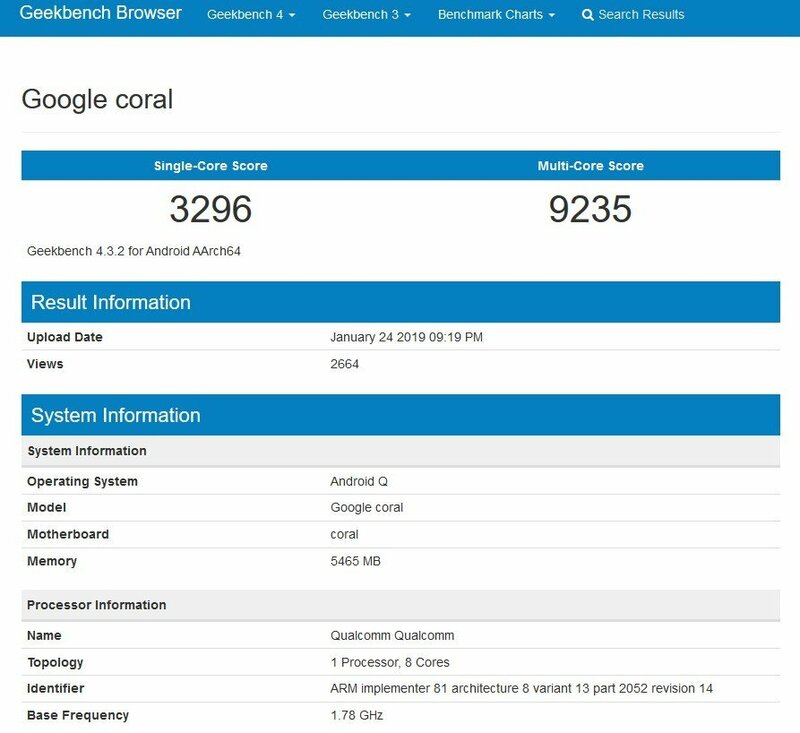 Earlier this year, a Google Coral benchmark had been spotted on benchmarking website, Geekbench. The device runs on Android Q, and is powered by a Qualcomm Snapdragon 855 processor with 6GB of RAM. All things considered, we are still about half a year away from the launch of the Google Pixel 4. There is always a chance that the company could change the codenames anytime, though it would be kinda pointless. While we are on the topic of uncertainity, what do you think Needlefish could represent? Could it be for a Pixel 3A variant? The device has been leaked multiple times, with no launch date in the horizon, though some rumours indicate at a possible announcement during the Google I/O conference scheduled to be held next month.